In 1923, all of Britain’s regional railway companies were grouped into four major companies that covered the whole of the UK. 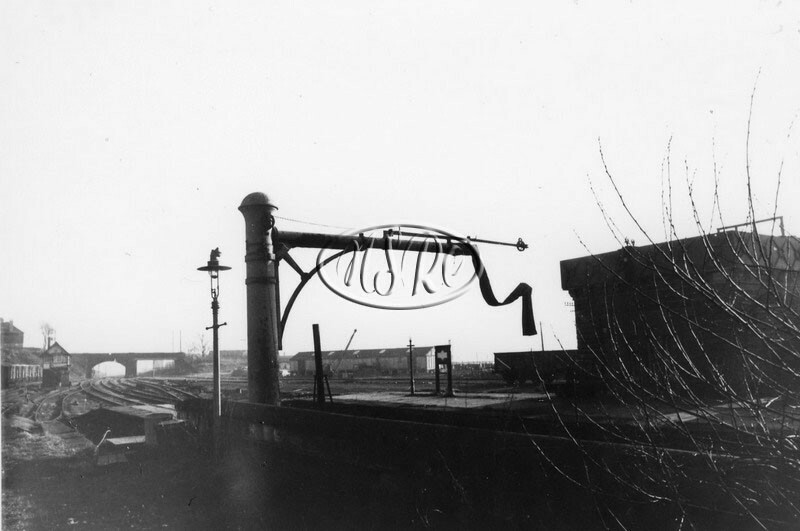 The North Staffordshire Railway Company thus became part of the London, Midland and Scottish Railway Company (LMS),which was not universally popular as local people felt robbed of a train service they regarded as their own. In reality though this resulted in a minimal amount of change to the level of service provided along the Churnet Valley Line, and public services were to remain predominantly the same under the LMS as they had been under the NSR. The LMS saw excursion traffic as being a big part in the potential success of the line, and having closed in 1901 Alton Towers was re-opened on Easter Monday 1924 following its sale by the Shrewsbury family to a group of local businessmen led by H.C. Cowlishaw. This led to a subsequent rebranding, and following heavy promotion, saw a steady increase in visitors that required the LMS to increase the frequency of excursions to the station to meet the new demand. Upwards of a dozen trains could arrive at the station over the course of a summer weekend, bringing in hundreds of visitors from outside of the Valley. 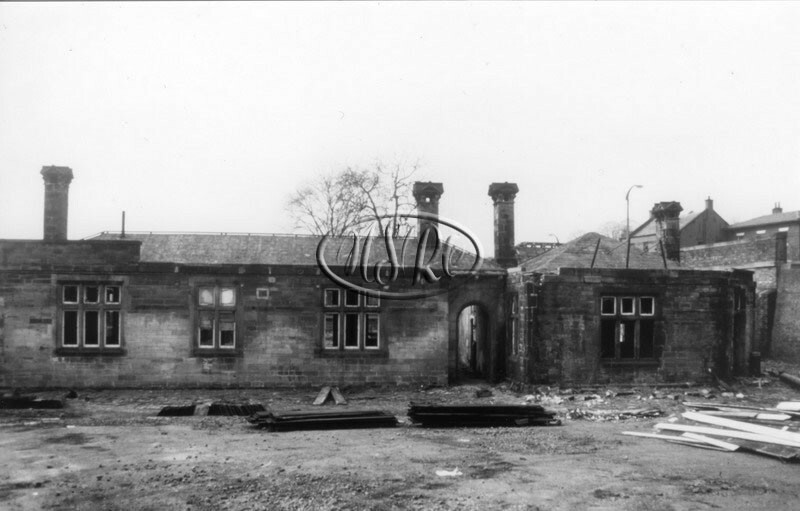 The biggest change to the line came with the LMS selling the NSR’s golf club and Rudyard Hotel at Rudyard Lake, and then renaming the connecting station from Rudyard Lake to Cliffe Park on 1st April 1926, with Rudyard station becoming Rudyard Lake at the same time. 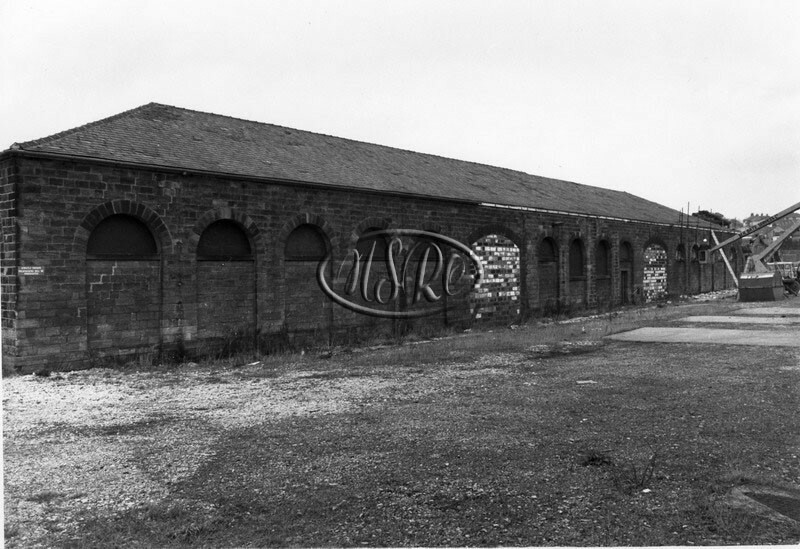 Cliffe Park was to become an unstaffed halt in September 1936, with visitors being encouraged to visit the southern end of the lake where a number of attractions aimed at day-trippers were built such as a dance floor and boat hire. The passenger service did see some alterations, with the railmotor service being discontinued after the summer of 1923! The LMS then extended the main Churnet Valley services; with them now originating from Manchester instead of Macclesfield and the number of services was increased to five each way per day. Two additional Manchester to Leek services were introduced on market days as well, in an attempt to try and increase the number of traders coming to the town from outside the immediate area. Leek and Uttoxeter saw an increase in services on Saturdays, and in the summer an additional trip from Rudyard Lake to Uttoxeter operated on Saturday evenings taking people home from a day at the Lake. LMS days saw the Churnet Valley Line gain its first named Express service, with the Summer-only Eastern Counties Express being introduced to the route in 1927. Operating between Manchester & the East Anglian holiday resorts of Cromer, Yarmouth and Lowescroft, the 10.50am departure from Manchester called at Leek on its way to Nottingham. This joined a portion from Liverpool at Uttoxeter before continuing to Norfolk, but the Liverpool portion ceased operation in 1934. After this the returning train was then routed via Stoke from Leek, avoiding the Northern half of the Churnet Valley Line. This service was to fall victim to the wartime cuts however, and was not to be revived once World War 2 had ended. In 1928 the 12.10pm Manchester to Euston Express service was named “The Lancastrian” with booked stops at Macclesfield and Stoke. However it achieved fame amongst enthusiasts as during periods of heavy traffic levels, a portion originating from Colne, which was normally attached at Stockport, would be routed via the Churnet Valley Line on its way to Euston and miss being attaching to the main express service. The title was also bestowed upon the 6pm return departure from Euston to Manchester, but this was routed via Crewe and so completely missed the lines of the former Knotty. The new era saw goods traffic increase along the Churnet Valley line, as it was seen as a more direct route to reach London that could be utilised to take the pressure off the Crewe to Nuneaton corridor. No less than four additional express goods services were booked along the line in both directions, supplementing the local traffic calling at Froghall and Oakamoor plus all of the goods yards at each of the stations along the route. Services reduced slightly during the Great Depression of the 1930s, which resulted in the quarry at Cauldon Lowe closing briefly. When it re-opened, the narrow gauge line to Froghall was closed leaving all output being transported via the Waterhouses / Cauldon branch to Leek Brook Junction. The narrow gauge Leek & Manifold Railway lost its main source of income with the closure of the creamery at Ecton in 1932. Two years later the full narrow gauge line was closed in March 1934, and in 1935 the LMS withdrew all passenger services along the Waterhouses branch, with the section from Caldon Junction to Waterhouses being formally closed on 1st March 1943. This left the line into Cauldon Lowe quarry, with its pickup goods service calling at Bradnop, Ipstones and Winkhill plus the quarry traffic for Cauldon Lowe. The LMS would later donate the L&MLR trackbed to Staffordshire County Council, who were to convert it into a footpath branded as the Manifold Trail. The outbreak of World War 2 saw an emergency timetable implanted on the Churnet Valley Line as per the rest of the country. 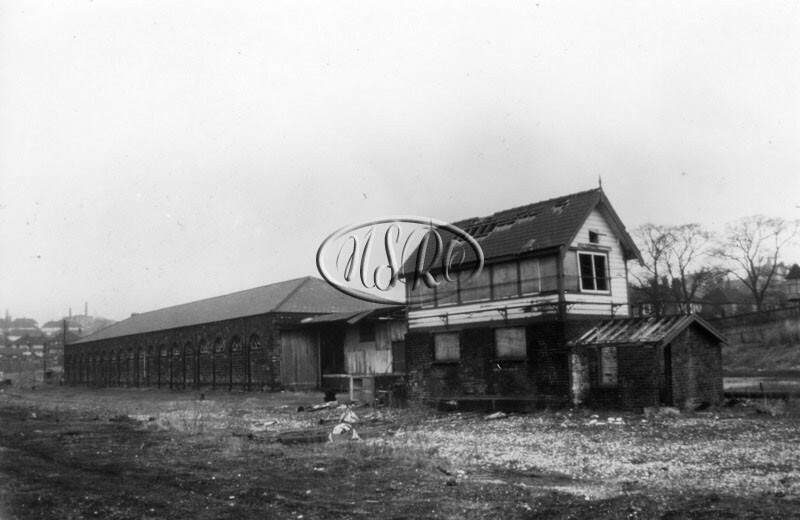 However the line was unusual in that the basic service was improved with an increase in the number of trains per day, as Thomas Bolton’s Copper works became an important munitions manufacturing site whilst Alton Towers became the 121 Officer Cadet Training Unit for the Royal Artillery. 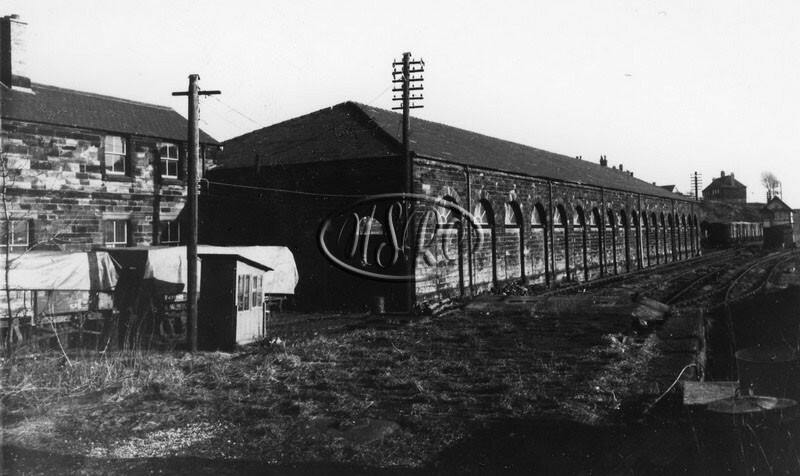 Unadvertised workmen’s trains were operated to coincide with the 24-hour shift pattern of Bolton’s, and Oakamoor became the unloading point for training equipment. After the war the line returned to its 5 trains a day service, with a brief increase in traffic between 1946 and 1947, as it was utilised as a diversionary route whilst the Manchester to Sheffield “Woodhead” Route was electrified. As of 1st January 1948, the entire British Railway network was nationalised, and the Churnet Valley came under the jurisdiction of the newly formed London, Midland region (BR(M)) section of British Railways. The railways though were tired from the hardships of the war effort, and savings needed to be made. Competitions from road transport were forcing service reductions, and so British Railways commissioned a study into the inherited network and learning how to make it more profitable. For the Churnet Valley Line, falling passenger numbers saw the advertised public passenger services withdrawn with a handful of workmen trains surviving for the copper works at Oakamoor and Froghall. 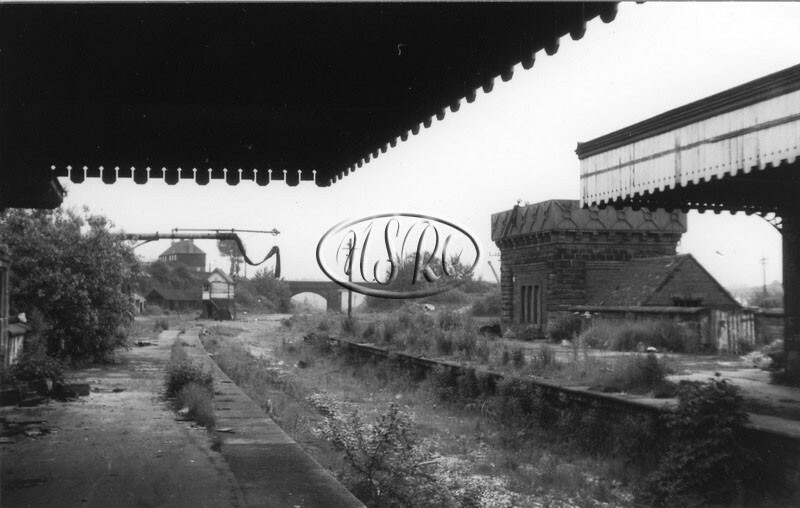 The Ashbourne Line lost its passenger services from 1st November 1954 onwards, with Leek to Stoke services being completely withdrawn on 7th May 1956, and then services between Macclesfield and Uttoxeter withdrawn from the 7th November 1960 onwards. The sole passenger service retained along the Churnet Valley Line became the non-advertised workmen’s trains between Leek and Uttoxeter. Dr Richard Beeching’s report “The Reshaping of British Railways” was published on 27th March 1963, and recommended the closure of over 5000 miles of rail lines and more than 2000 stations in order to reduce overheads and start making a profit. Sadly for the Churnet Valley and its associated branch lines, the majority of the 27-¾ plus miles were included in this. 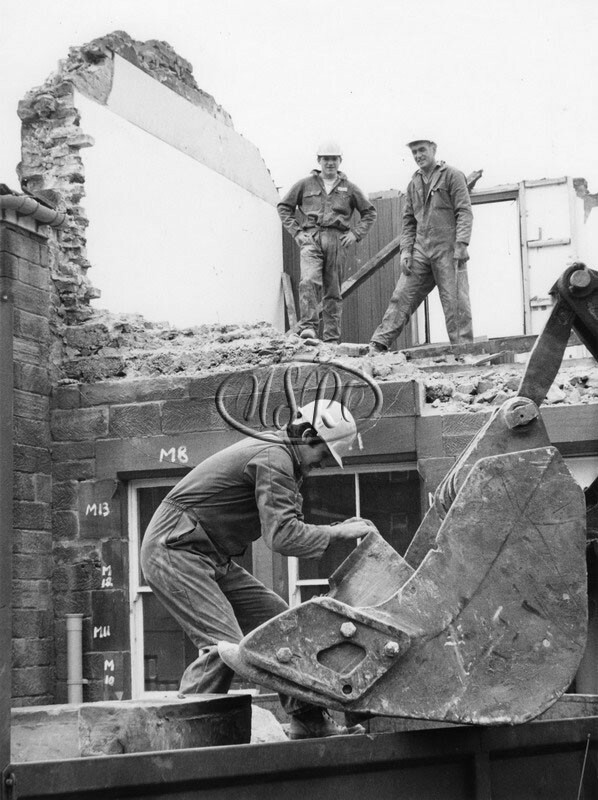 The Ashbourne Line closed first on 1st June 1964, quickly followed by the North Rode to Leek section on 15th June 1964 that was lifted almost immediately. All local goods facilities were withdrawn as well along both the Churnet Valley & Cauldon lines, except for the facilities at Leek. The withdrawal of all remaining passenger services between Leek and Uttoxeter was to then follow on the 4th January 1965, with Standard 4 4-6-0 no. 75035 becoming the last locomotive to haul a passenger train into Leek from Uttoxeter. 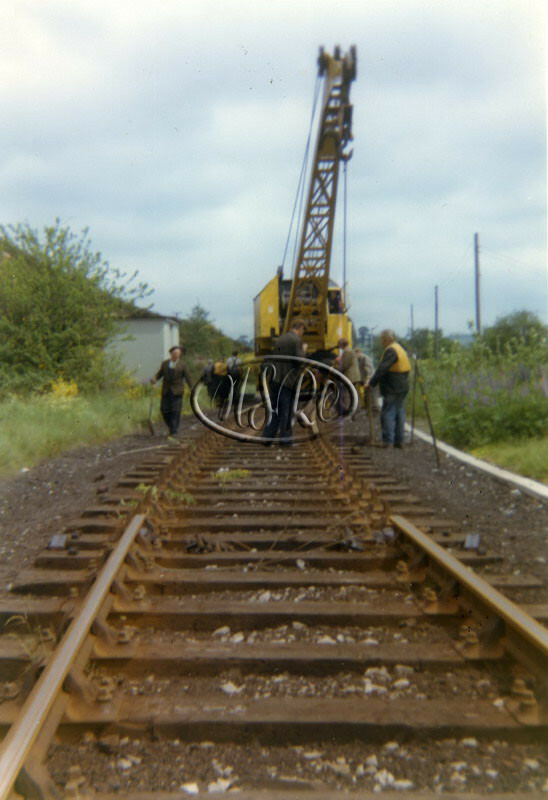 The removal of the workmen’s trains also brought about the closure of the line between Oakamoor Sand Quarry and Uttoxter that was to be lifted early in 1966. 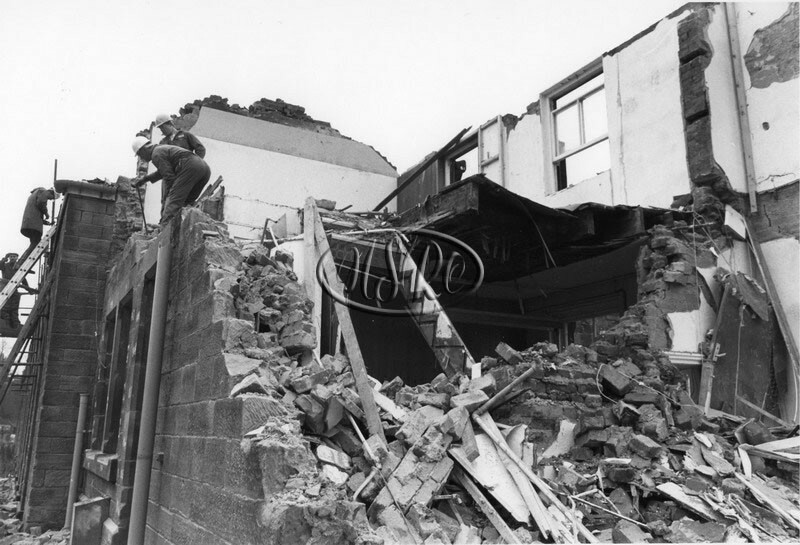 The remaining southern section became a single line section in 1968, and goods traffic to Leek ceased in July 1970 with the 1-mile section from Leek to Leek Brook Junction being closed at the same time. 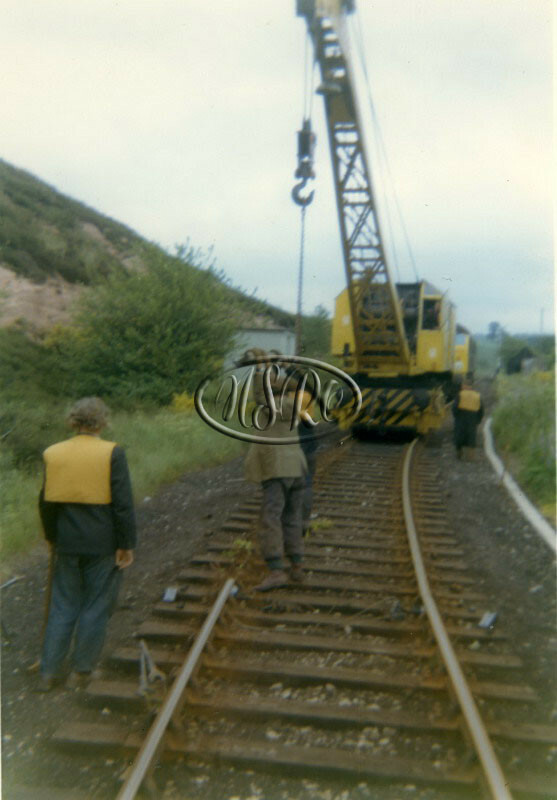 The only section left now was the Leek Brook Junction to Oakamoor quarry, serving the British Industrial Sand Quarry, with the connecting line from Stoke to Leek Brook Junction being left in place to allow these freight trains to get to the West Coast Mainline from the Churnet Valley. The branch to Cauldon quarry was also still active, with limestone traffic continuing to be produced up until February 1989 when the quarry turned to road transport and the line was mothballed as a result. However in 1994 two enthusiast railtours, organised by the Branch Line Society, ran up the Cauldon branch, before the line was returned to its mothballed status with Cauldon Quarry being categorised as a Strategic Freight Site by BR. The sand traffic from Hepworth’s Sand quarry at Oakamoor saw sand be transported to St Helens in Merseyside for use in glass making, before the quarry was closed on 30th August 1988, which brought an end of commercial services along the Churnet Valley Line after 139 years.